As the locally undefeated Panas volleyball team hits its way toward its upcoming bid for a repeat state championship in Class A, there is no doubt who is its best and most important player. The 6-foot, 2-inch senior outside hitter Yvette Burcescu, after all, is the reigning two-time New York State Player of the Year. But the next most important is Sabrina Patriciello. An all-state libero the past two years, the 5-foot, 7-inch senior moved to the critical setter position to fill a graduation need and has come through like—well, like the all-stater she is. “She’s been setting all season,” said Joe Felipe, Panas’ highly successful coach, “and performing at a very high level.” As is her team. So the question still to be answered is: Is this Panthers squad the equal of the one that brought the school its first state championship in any sport last November? She has rung up some super stats at her new position. Just two weeks ago, she had totaled 551 assists, 43 kills and 102 digs along with 47 aces. Further, on her team, Patriciello says, “And I’m playing on a team with my best friends. I love it.” And she loves helping others, as does the whole team with the Lustgarten Foundation Cancer Walk each year. The libero-turned-setter also teaches volleyball to youngsters. Would she want to continue playing competitively in whatever college she chooses? “I’d really like that,” she said. What Patriciello and her talented teammates would really like on the eve of the playoffs is to extend their season up to another 10 successful games as they try to make it two state titles in a row. How good are they? Not long ago they defeated Class AA – the class above theirs – champion Ossining, which returned nearly its full championship team, in three straight games. How good are they? As good as a year ago? Or perhaps almost as good, as in 2015, when Panas lost in the state final? “Ask me after the playoffs,” said Joe Felipe. As a youngster, Elsa Neubauer was always athletic. Soccer. Dance. Lacrosse. 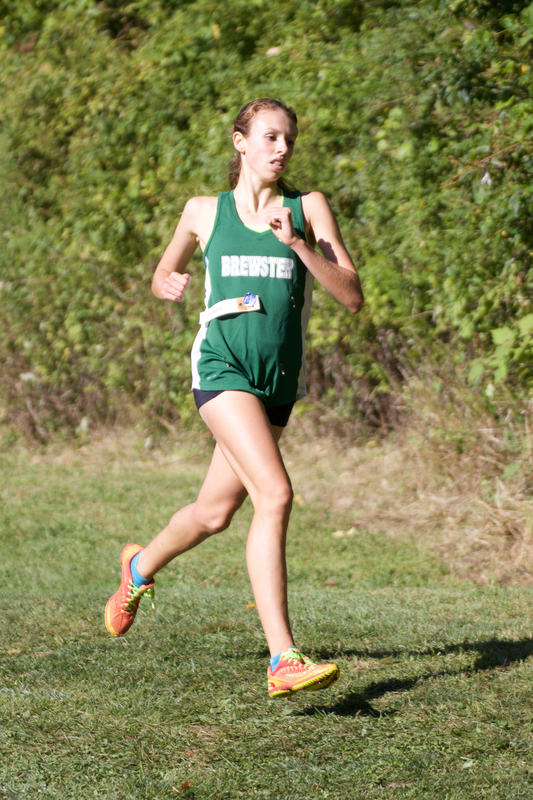 Then, as a Brewster high-school freshman last year, she discovered cross-country. It’s been running ever since. Scelia didn’t know anything about this slender 5-foot, 5¼-inch freshman a year ago. He certainly does now. Elsa opened the cross-country season by winning the girls Division 1 Race at Somers High’s Big Red Invitational in 19:18.26. It was merely the fastest time recorded by a girl in the 34-school, 1,600-athlete meet. After winning a second invitational she traveled to Rhode Island and won the Ocean State Invitational. But the week before, she lost, coming in third in the Bob Pratt Invitational on Long Island. The two girls who beat her are ranked 1 and 2 in the state. With her season in full swing, she could lose again in a major meet but the goal is to do well enough at the state qualifier to make it to the state meet upstate on November 11th. Count on it. All pretty incredible for a youngster who had never run competitively until the 9th grade and who started her season on the freshman JV while her one-year-younger brother Ryan also took up the sport. Brett Makar had a fantastic football season as a junior as Yorktown made it to the Class A final. He’s on pace to do even better his senior year as the Cornhuskers have gotten off to an undefeated start to the season. Yet he will probably never play major competitive football after this season. Makar, who if anything is even better in lacrosse, has accepted a scholarship to Maryland University in that sport. And college coaches don’t want to see their scholarship athletes risking injury in another sport, particularly one as rugged as football. Plus, at 6 feet and 185 pounds, Makar is plenty big for high-school football but would find bigger foes at the college level. A relevant example is former John Jay star Terersa Swertfager, on a college softball scholarship, and thus unable to play college volleyball after being the best high-school libero these eyes ever saw. Meanwhile, Makar is making the most of his time on the gridiron, both on offense and defense. He is in his second season as a two-way starter/star. 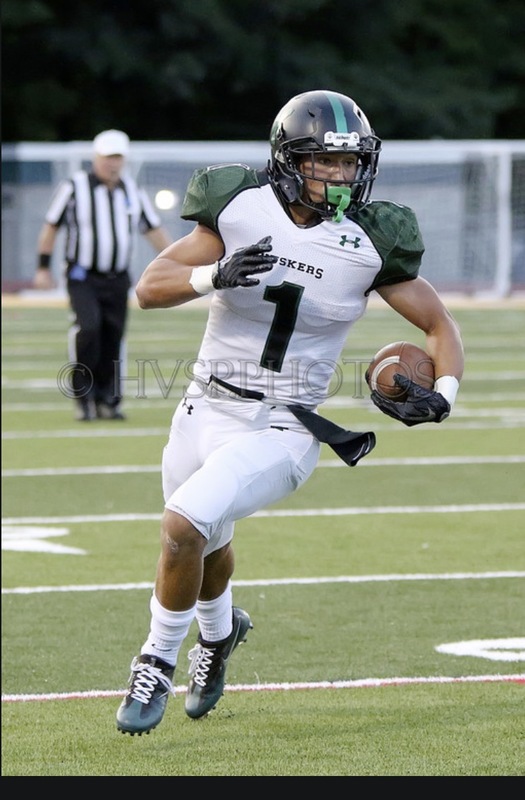 As a junior, Makar was the area’s Player of the Year and gained 1,584 yards from scrimmage while scoring 21 touchdowns. In the first three games this season, he had 45 carries for 516 yards and six touchdowns including a hard-to-believe effort in which he rallied his team from a 14-7 deficit to a 28-14 victory over Hen Hud while rushing for 215 yards and two touchdowns and catching a pass, plus on defense making eight tackles, an interception, a sack and a fumble recovery. And one that could go far again. Don’t bet against the Huskers making the playoffs. And don’t bet against Makar leading them. In high school, Rob made it to the quarterfinals at States. Flash forward 14 years or so. Rob Ferrante, now 27, is a tennis teaching pro at the Saw Mill Club where his sister practices. Little sister Caitlyn, now a high school junior, won the state championship as a sophomore — the first Yorktown girl to do so — and is undefeated this season. “She’s incredibly good and she keeps getting better,” says Dayer, “already the best player we’ve ever had.” Dayer, it might be noted, is in his 28th year of coaching tennis. 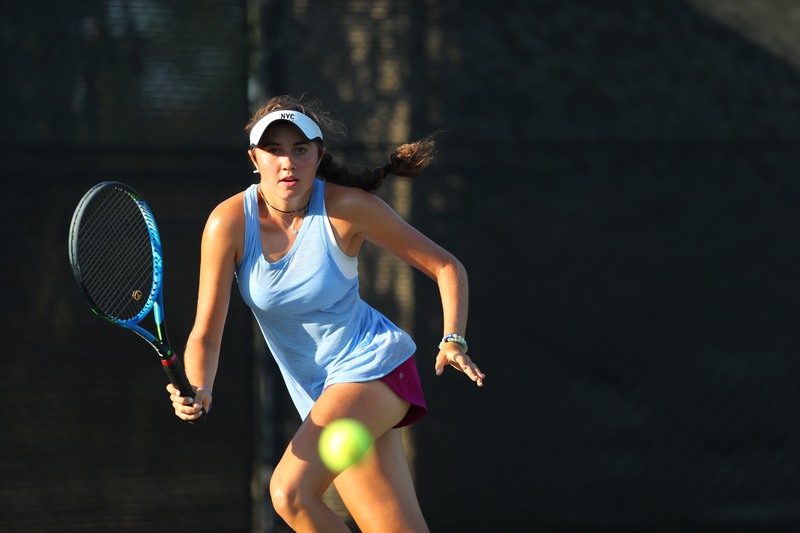 Last year, the sophomore Ferrante did go through the regular season unbeaten but lost in the sectionals to Briarcliff’s unseeded Rachel Lim. But she got to state competition where she avenged the loss to Lim and in the finals defeated Our Lady of Mercy’s Julia Andreach despite losing the first set by 6-1. It was on Halloween, no less. “She did something at States I doubt has ever been done or ever will be done again,” Dayer said. “She defeated the Number 1, Number 2 and Number 4 seeds in order to win.” Caitlyn Ferrante couldn’t do that this October since she will certainly be a top seed. But she certainly could win again though still only a junior. Early in the pre-season, Jack Gilroy, the senior defensive end on the Somers football team, said it best. “We have a state championship in mind again,” he said. Indeed, the Tuskers won the state in an extended 13-game season, stunning the Yorktown team that beat it early in the season by 42-6 in the sectional title game; then winning three more playoffs. This season, with the bulk of their offense having graduated, they are 3-0 but beat a tough Rye squad 21-14 on six forced turnovers despite being out-gained by over 100 yards. The two upcoming tests against Lourdes and John Jay-Cross River should tell veteran coach Tony DeMatteo more about his team. Perhaps more than any other Tusker, the 5-foot, 10-inch, 165-pound Elliott was responsible for the defeat of Rye. 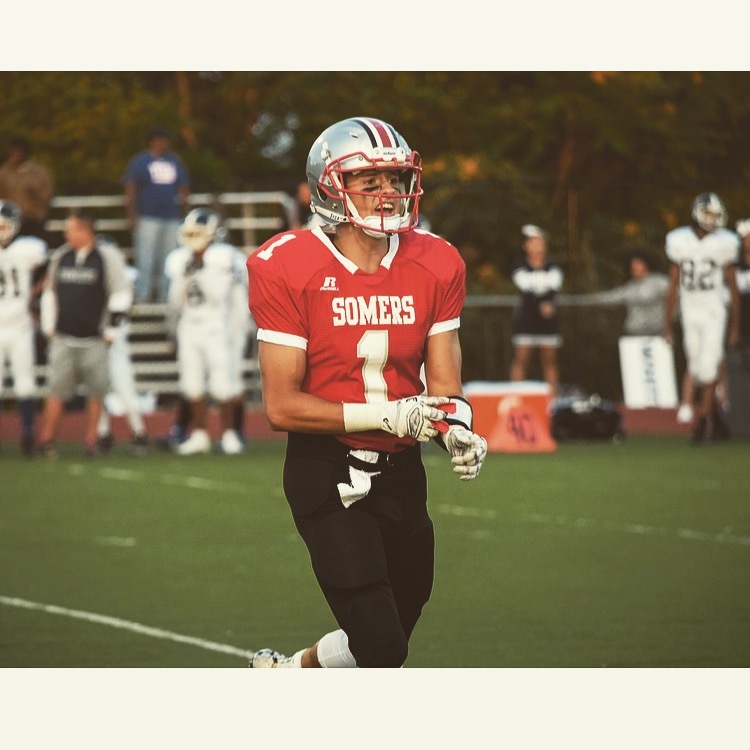 He had three interceptions to go with the three in the opening week 48-1 rout of Poughkeepsie, when two of them went for touchdowns, allowing Somers to go with second stringers for most of the game. To say the Somers girls soccer team and Coach Paul Saia have outstanding records every year is an understatement. Saia, in his 16th season with the perennially successful Somers program, has just started his fourth year as head coach. In his first season, the team was a 22-0 state champion. In his second, it was a 20-1 section champion. Last season, his 15-3 squad lost the section final to Pearl River, 2-1. This year? Well, let’s just say that being so good could be a challenge. Four key players have gone the graduation route and are currently on D-1 teams. Superstar forward Ciara Ostrander is at Yale. Superstar midfielder-forward Melina Couzis has her stick in UConn’s starting lineup. Defensive standout Mary Murphy and superb forward Jenna Menta are also cap-and-gown losses. But that isn’t all. 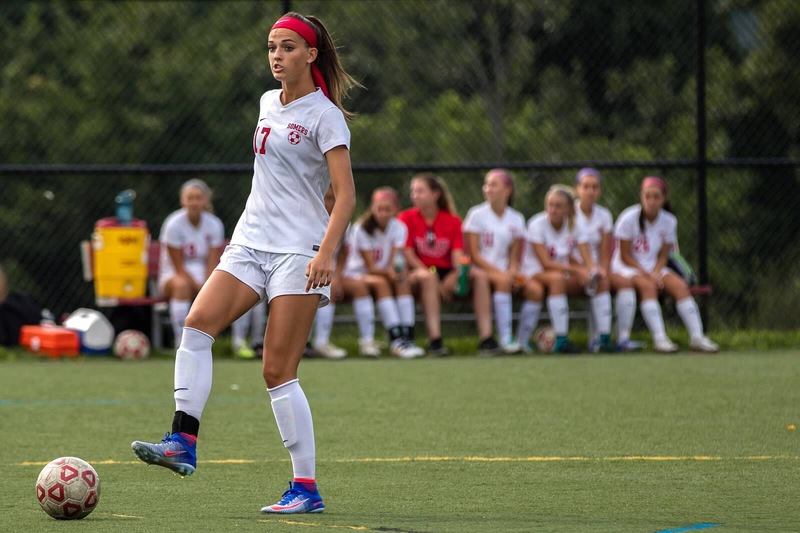 The recent rule disqualifying girls who played academy soccer means Somers is without junior forward Katrina Curtz and midfielder Ali Kalayjian. So you can count on one hand the returning starters. Senior returning defender Amanda Brugger should be a big help to the goalie and the coach is high on sophomore defender Alexis Atkinson. Another sophomore, Jessica Rodriguez, should have a big role up front. A healthy Mensi is crucial. Last year the tall defender, who relinquished varsity basketball to concentrate on soccer and has a scholarship to Bucknell, played seven games despite a foot fracture. But she then missed the rest of the season for an operation. Who knows if her presence might have affected that section final loss. “I think I would have helped,” says Mensi cautiously. The girl who started soccer at age three “and has loved it and its speed ever since” welcomes the any-position-at-any-time coach’s plan. 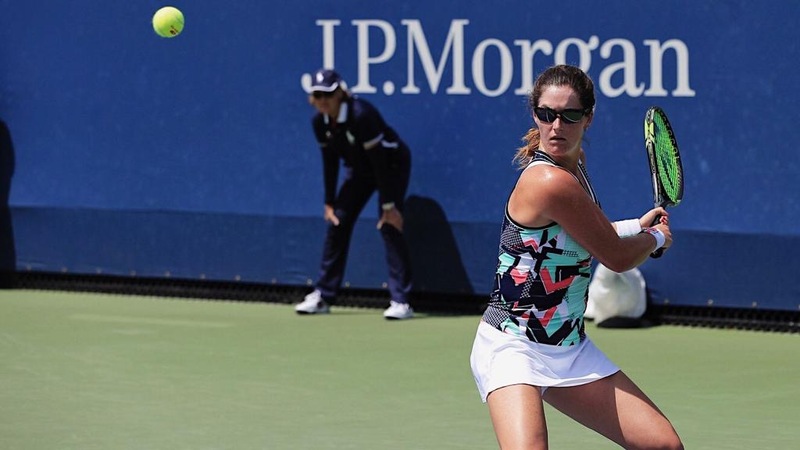 Success and failure are still major parts of the career of Jamie Loeb, the young tennis professional from Ossining. Now 22, the 5-foot, 6-inch athlete with the big forehand and two-handed backhand dropped out of Ossining High for home schooling after a sophomore season in which she won the state scholastic singles title. She wanted to devote full time to a tennis future. After winning the NCAA individual championship at North Carolina University in 2015, she received a wild-card invitation to the U.S. Open but her own debilitating back injury and a fourth-seeded opponent in the first round added up to a quick exit. She hasn’t made it back since to the American grand-slam championship which is currently ongoing. But she came close this year — boy, did she ever come close. To qualify for the main draw, a hopeful for the big event must win three qualifying matches. Loeb won two in late August, routing NaLae Han of Korea, 6-4, 6-2, then outlasting the tough Russian Vera Zvonareva, 7-6, 5-7, 6-4. But, needing just one further win, the day after beating Zvonareva she fell to the talented Floridian, Sachia Vickery, 6-3, 6-4, in a match as tight as the score would indicate. And adding a touch of irony, Vickery had been Loeb’s practice partner for the matches ahead during the week. “To come so close and not make it, it definitely hurts,” said a downcast Loeb shortly after the match. Counting her loss to Vickery, Loeb’s match record this year is 17-12 despite her hard work, dedication and talent. It is slightly better in doubles, where she has always excelled. She usually comes out first in one pro event a year — not one of the majors, of course. You have to want it a lot. If you are not one of the girls in the top 50, the life of a traveling competitive tennis pro is not an easy one. You must handle your own travel arrangements and meals and do it as economically as possible while being alone in many strange places. In Loeb’s lone tournament victory this year, a $60,000 event back in February in Tasmania, the winner’s share was just $9,000. But the girl who was introduced to racket sports by brother Jason before she could walk still has that overwhelming love of her sport despite hardships. Does she regret, she was asked, that decision to put tennis first after her sophomore year of high school? “Oh no, definitely not,” she said with the same firmness she hits a forehand.